This HealthDay story reports on a study of fibromyalgia patients who received acupuncture as a supplemental treatment for pain. Their results were compared to those of another group of patients receiving only sham treatments. The story says that after 10 weeks of acupuncture, patients reported an average of a 41 percent reduction in pain, compared to only a 27 percent drop in patients getting the sham treatments. The larger decrease in perceived pain with the acupuncture patients continued for at least a year, the story said, indicating that acupuncture is effective in reducing pain and improving the quality of life in fibromyalgia patients. The story gives readers a generally good overview of the study, with attention to costs, limitations, and inclusion of an independent expert comment. But the discussion of benefits wasn’t quite detailed enough to clear our bar, and the story lacked any mention of potential harms from acupuncture treatment. Fibromyalgia is a poorly understood condition in which pain is present in multiple body regions. It is unclear what is the cause of the pain and whether other symptoms that can accompany the pain – depression, fatigue, sleep issues – are caused by the pain itself or the underlying process. Despite not knowing what causes fibromyalgia, several medications have been shown to decrease symptoms in affected individuals, but there is no cure and the benefits of treatment are not dramatic. For this reason, there is interest in identifying other treatment options including so-called alternative treatments such as acupuncture and massage. The current study examined acupuncture in women recruited from three primary care practices in Spain. All women were referred for acupuncture but could be treated with medications by their primary physician. Note that no patients were receiving opiate pain medicines or were involved in legal cases regarding their pain (which may have confounded the results). Patients were randomly assigned to individualized acupuncture treatment or a sham (fake) version of acupuncture. Patients did not know which treatment they were receiving. The study appeared to have been well done and demonstrated that women who received the actual acupuncture treatment had less pain at the end of the 10-week treatment period. While encouraging, the more interesting results were that the patients continued to do better for up to one year. This is important because fibromyalgia is a chronic condition and for treatments such as acupuncture, the question is whether it provides only short-term benefit or is it something that needs to be continued on a regular basis. The story offers an estimate of the cost of an acupuncture session at $125. The study participants received nine separate sessions, which would, by this estimate, total $1,125. 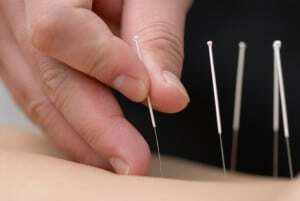 The story also mentions that some insurance carriers will pay for acupuncture treatments. The story reports an improvement in perceived pain relief by the participants receiving actual acupuncture (41 percent) versus those in the control group getting sham treatments (27 percent). It also reports that the reduction in pain persists for up to a year, although not to the same degree. It’s helpful that the story lists the relative reduction in pain seen in both groups for comparison purposes. However, the story would have been stronger had it indicated how the pain score used in the study works (e.g. What’s the range of the scale?) and what the absolute reduction in pain scores was in both groups (e.g. If pain scores were already low to begin with, a 41 percent reduction might not be very meaningful). We would need that type of information to be able to judge the story Satisfactory on this criterion. This story made no mention of potential harms from the use of acupuncture although the research paper clearly identified some “mild adverse events” affecting participants. These included headaches, pain and bruising at the acupuncture sites, and an aggravation of some fibromyalgia symptoms. While these are far from serious harms, readers deserve to know that they are possible outcomes. The story reports on the findings of a double-blinded, multi-center study comparing real acupuncture to a sham treatment. The description of the study design is solid and includes discussion of limitations and confounding factors. Quoting two different experts, the story suggests that the pain reductions in the acupuncture group might have been due to their increasing use of antidepressants during the study, which “may have artificially boosted the positive results.” This is an interesting observation, although a look at supplemental table 5 in the paper shows that the sham treatment group’s use of antidepressants also increased during the study, and to a greater extent than the acupuncture group. To us, this suggests that the persistent benefit in terms of pain in the acupuncture group is unlikely to be due mainly to the use of these other medications. This story does not appear to commit disease mongering. The story quotes experts other than those conducting the research, as well as providing additional information from other sources. One of the quoted experts appears not to be an acupuncturist, which is good. The story does not mention any potential conflicts of interest but the research paper itself states there were no conflicts. Readers might have benefited, however, from knowing the funding source for this research, which was The Spanish Ministry of Health and Consumer Affairs and the Andalusian Public Health System, two public agencies. Acupuncture is considered to be an alternative, or complement, to traditional western medicine. The story mentions that most fibromyalgia patients take medications for pain, depression, and other symptoms, and that they may also receive other alternative therapies, such as massage. Acupuncture is now considered a fairly common alternative therapy for a number of conditions and is usually available in most locales. The story hints as much when it says that 9 out of 10 patients with fibromyalgia report using some form of alternative therapy, including acupuncture. Previous studies of acupuncture among fibromyalgia patients showed conflicting results. In this case, the story identifies that the acupuncture was individualized to the particular patients, as opposed to some general acupuncture approach, and compares an experimental group of participants with a control group, something missing in some earlier studies. There is enough original reporting here that we can be confident the story is not based on a news release. While you may have found 8 out of 10 points to be satisfactory, the fact remains that almost every well-controlled large-scale study of acupuncture has found it to be an ineffective treatment for anything. It is, in fact, part of that large glut of complementary and alternative medicine that isn’t medicine at all, but rather what some reviewers call “tooth fairy medicine.” I certainly wouldn’t embark on a course of acupuncture based on these findings. It’s not clear from your note whether you realize that this was a review of a news story. This was not a review of acupuncture. So the 8 out of 10 satisfactory scores were for the story. This was not passing judgement on acupuncture. As our name – HealthNewsReview.org – makes clear, we review health care news and other media messages about health care. Gary, Yes, I realize it’s a review of a news story. I feel strongly that people need to understand that acupuncture is sham treatment, no matter how it is reported on. I understand that the story was considered satisfactory, and not the original research. Nonetheless, I would have thought that a story about a sham treatment would be judged as to how well it reported that very fact. Stories that show acupuncture, homeopathy, and chiropractic (beyond very narrow limits) in a positive light are _never_ satisfactory. 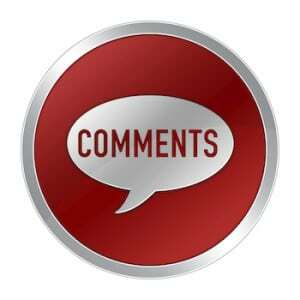 I was writing a comment similar to Joe Ellison but it got lost (ack! ), so just let me second what Joe says. There is no prior plausibility for acupuncture, so it shouldn’t be reviewed at all as a “medical” topic (to answer your argument).